OK, guys. This has been a big part of our absence posting here for a while. We are super-pleased to show you our latest site launch! 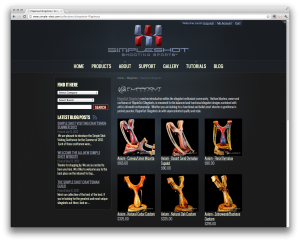 SimpleShot is one of those great concepts that comes along and you just know it’s destined to be great. Sure enough, it is. 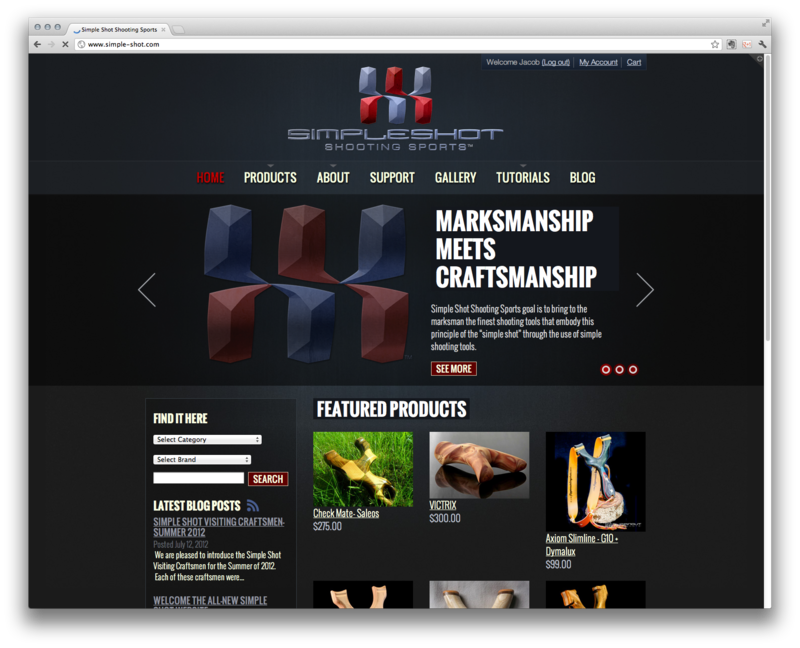 SimpleShot is headed by Nathan Masters of FlippinOut Slingshots. Nathan is an amazing craftsman who is applying is skills to slingshots. How cool is that? Who even KNEW that people were making such amazing slingshots? Well, Nathan is at the top of his game and his old WordPress store at FlippinOut was killing him. He came to us for not just an overhaul, but a completely new concept and e-comm site. Enter SimpleShot. 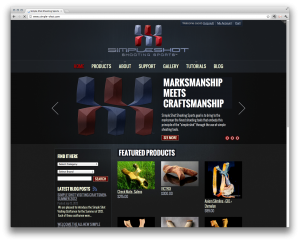 SimpleShot is a store that carries anything shooting-sport related that is top-notch. Everything here is the best of the best (as you can see). Custom slingshots, fabulous design, handmade craftsmanship. Wow. We were so impressed, we were eager to make this site from day one. And now you can see the result of a few months of work. This store spins like a top thanks to Shopify – am amazing e-comm solution. This site met all Nathan’s needs and more. Check it out, yourself.